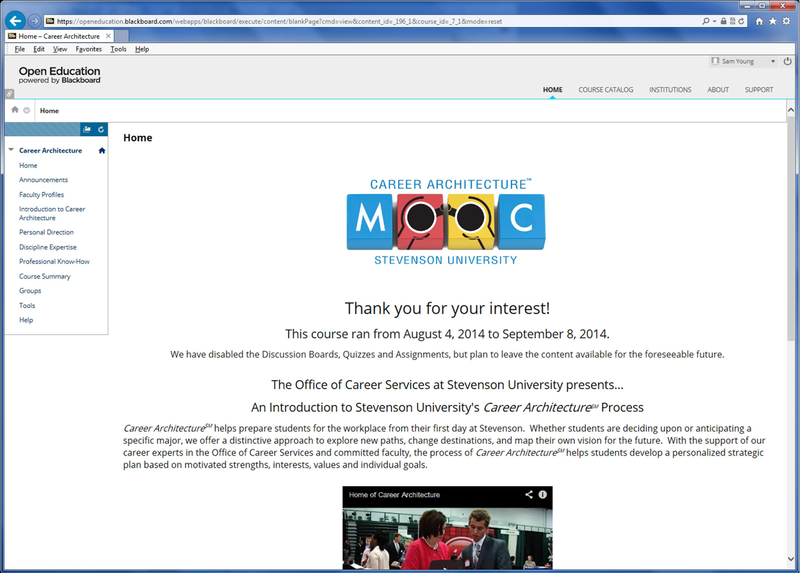 Stevenson University has a career MOOC on “Career Architecture”. As far as I am aware, this is the first career MOOC on the planet. The first MOOC ran from August 4 to September 8, but Stevenson has left the materials online for viewing. They explain it as “Stevenson University's Career ArchitectureSM MOOC is designed to provide career practitioners with an introduction to our unique development model. Participants will acquire an understanding of the Career ArchitectureSM model through an introduction to the three components: Personal Direction; Discipline Expertise; and Professional Know-How” (Stevenson, 2014c). When I came into the MOOC’s Blackboard site, there was no clear direction from the landing page as to what my next step was. However, I turned to the side menu and went next to Announcements (empty) and then to Faculty Profiles (a high-powered team), and then to Introduction to Career Architecture. Here I found a number of videos and articles, arranged in – what I guessed was – viewing order. As I worked through the materials, I realised that what Stevenson were proposing was a wrap-around service from the student’s point of view. In New Zealand we might call this a Whānau Ora approach – a package that supports body, spirit, mind and family, focused on health and well-being (Te Puni Kōkiri, 2014). Beginning at Orientation, Stevenson University spends time determining the student’s core values, and considering what this value-base means in relation to the course path that this student wishes to take, and then logically considering what potential careers might work for each student. After the selection process of determining a career, the student is guided in developing the technical aspects of what they might need for work in their chosen field; technical materials, advice, networking and preparation. The process starts in their first year, and continues as a thread through to their graduation year. The Introduction section had a logical flow, with each successive resource building upon the preceding one. Taken together, the materials told a clear story about Stevenson’s journey in developing a highly successful campus career service. It told a story of engagement; for example, of 785 graduates for the 2010-11 year, 735 responded to a graduate survey. It told a story of success; only 8% of the 2010-11 graduates was not in work, or not seeking work after a year. It told a story of innovation; the Stevenson Career Connections website allows students to upload their personal marketing materials – resumes and application letters for critique throughout their degree so they are very well prepared before they graduate to apply for positions commencing as they complete their final papers. There is truth in that saying, the first cab off the rank usually gets the fare. Stevenson’s students appear career-ready, prior to graduation, and very employable. The focus in the introduction appears to be on the Stevenson story. I noted that the materials did not explore any career theory. 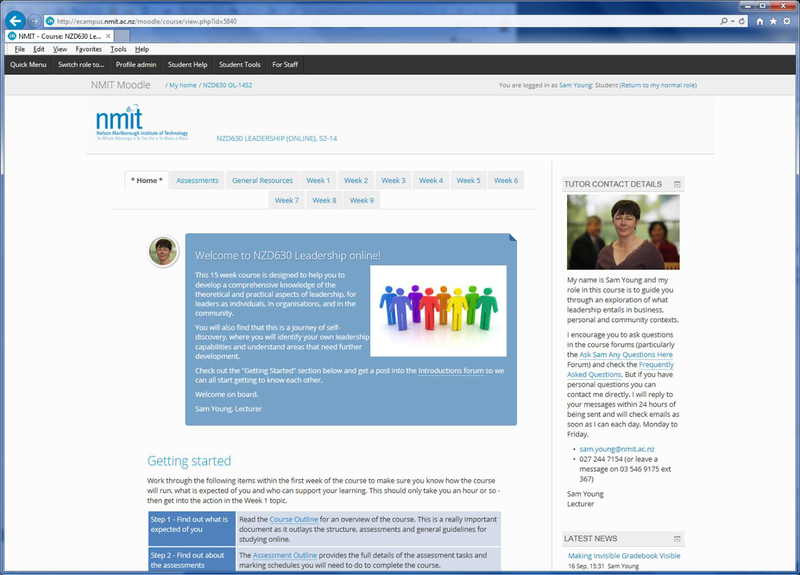 The MOOC pages of the course are not well designed. There little use of graphics, a lack of lead-ins to why each item is important, and no explanation as to the purpose each resource serves for the reader. The course layout does not smooth the path for a student new to the online environment: the student needs to guess where they go next. I have shown the Stevenson MOOC landing page and introduction pages here, alongside those of an online leadership course which I teach. If Stevenson were able to layout their materials using better quality and more consistent formatting and features, it would make course navigation less tentative for the student. Following the Introduction section, there is a section each on the three aspects of the Stevenson’s Career Architecture approach: Personal Direction, Discipline Expertise; and Professional Know-How; followed lastly by a course summary. The Personal Direction area contained an introductory clip explaining a little more about what personal direction was, then two fairly populist articles on what drives employee engagement (one on Gallup’s 2012 Employee Engagement survey and one from Forbes), and some reflection questions. The student is then taken to some information about strengths, and we get the first taste of some career theory: using Haldane’s Dependable Strength Articulation Process (DSAP) model. This model has the student tell stories of experiences they are proud of to others. The other identify the student’s strengths which arise from the stories. The student then reflects on this, validating or tweaking those external perceptions to fit their self-story. The student then ‘knows’ their strengths and can factor these into their career planning and development (Haldane, 1974; Haldane, 1960). Stevenson provides some worksheets for students to document their success stories. I would also assume that, during the MOOC, participants would have some kind of forum whereby they could exchange narratives and share feedback with others on the course (however, as the course has closed, this is solely an assumption). This section left me with two slightly troubling thoughts: the possibility of the strengths analysis being done completely without a career professional to assist the student to avoid developing a fixed mindset (the “I am what I am” state which may prevent development); and that Haldane’s work is old theory, which – as far as I know – is not well underpinned by research. The video clips that Stevenson have used throughout are of high quality and are very well crafted. They tell the Career Architecture story well. The articles used throughout are accessible and only slightly academic. There are some materials for mentors and supervisors in the Discipline Expertise and Professional Know-How sections, but these appear pitched to fit lecturers or non-career experts in assisting students in determining their career direction. Which brings me to my next point. 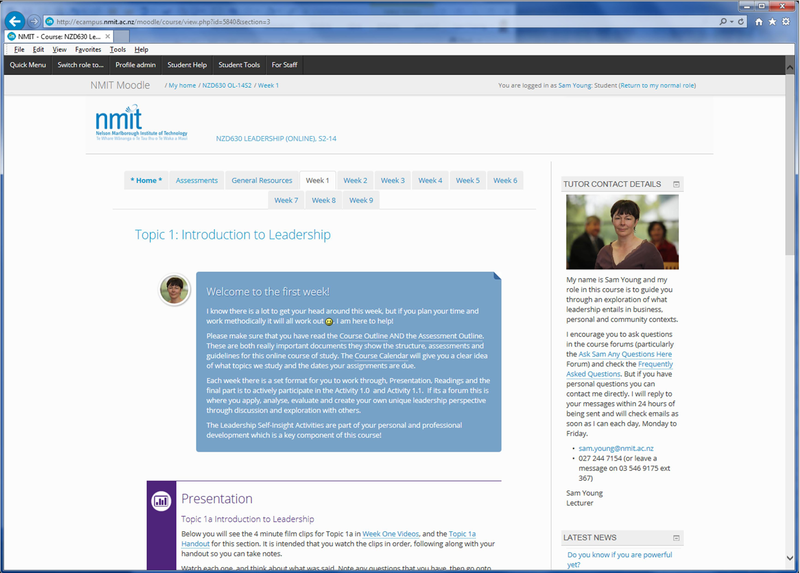 If you are a career practitioner, this course is probably not for you. You might use it for your clients or students, to introduce them to Haldane’s model and as a structure for self-guidance through determining their own strengths. Finally, while this MOOC is not ideally suited to career professionals, it contains excellent materials and a sound structure for students and [non-career] mentors to learn about themselves and what a wrap-around service needs. I was fascinated by how clearly presented Stevenson’s career architecture was, and how transportable this concept would be to any institution wanting to adopt this type of service. It provides a clear ‘how to’ ensure your students are career-ready when they graduate. That, on its own, has immense value. 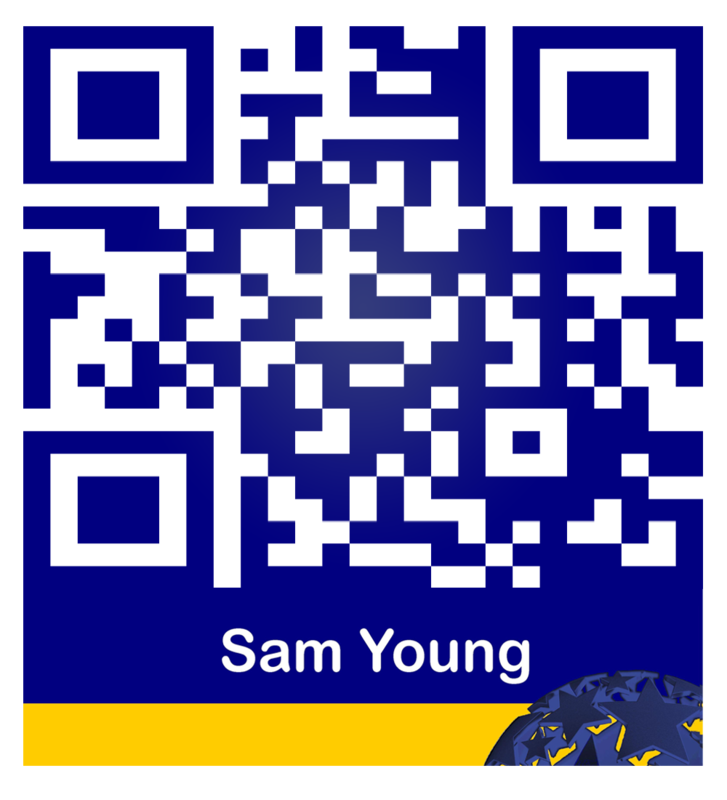 Labels: 2014 , Career Architecture , MOOC , Stevenson University.